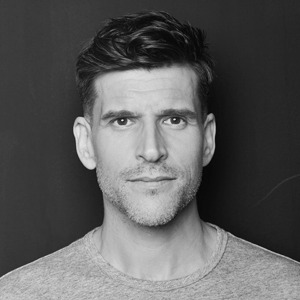 Osher Günsberg is one of Australia’s most recognisable media personalities. Osher has been a guest in the living rooms of Australian’s for nearly 2 decades. Osher is in his breakthrough year – with the release of his memoir, Back, After the Break his life and has taken a huge upwards trajectory. Osher openly reveals for the first time a powerful, dark, funny and heart wrenching story about life, love and living with mental illness. And the memoir is just the beginning. He is producing a LIVE show based on the memoir and speaking to audiences about his story, what others can learn and take away from it. A man of his word, Osher said he would never take his shirt off unless it was ot he cover of Men’s Health Australia. In August 2018, he revealed just that – the Men’s Health Transformation cover. He moved his body to heal his mind and was happy to take the aesthetic benefits with it. A massive achievement. You don’t become one of Australia’s most love celebrities overnight. From his work on Channel [V] in the early 2000’s to seven seasons on Australian Idol, Osher was the first Australian to host live network prime time TV in the USA on CBS’ Live To Dance. Currently, Osher hosts Network Ten’s The Bachelor, The Bachelorette and Bachelor in Paradise. Commencing his radio career in 1994 at Brisbane’s B105 on the overnight shift, he rapidly moved to a national audience with Take 40 Australia and The Hot Hits Live from LA. From 2016 – 2017 Osher was part of Hit105’s Stav, Abby & Matt with Osher breakfast show for Southern Cross Austereo, and Osher’s Love Line nationally on the HIT Network. In 2016 Osher joined the board of SANE Australia as a director, in an effort to help change attitudes in our society about complex mental illness. Being hearing impaired himself, Osher became an Ambassador for leading children's charity The Shepherd Centre in 2018, to help educate the public and help children who are born deaf or hearing impaired. A passionate photographer, cyclist, plant eater and coffee connoisseur, Osher lives with his wife, step daughter and their mischievous cavoodle.